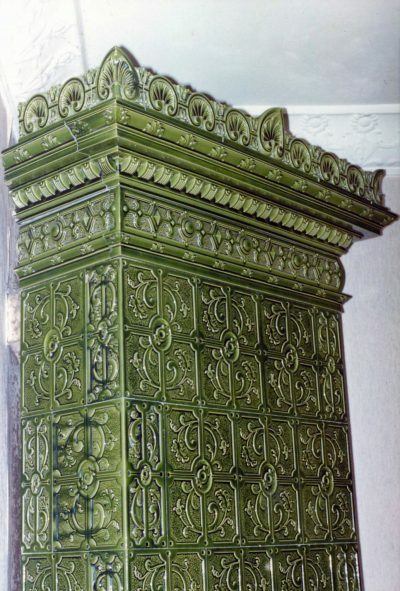 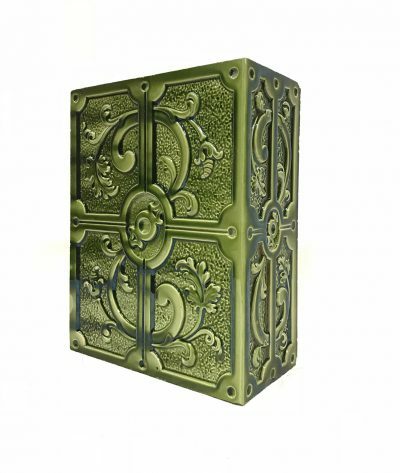 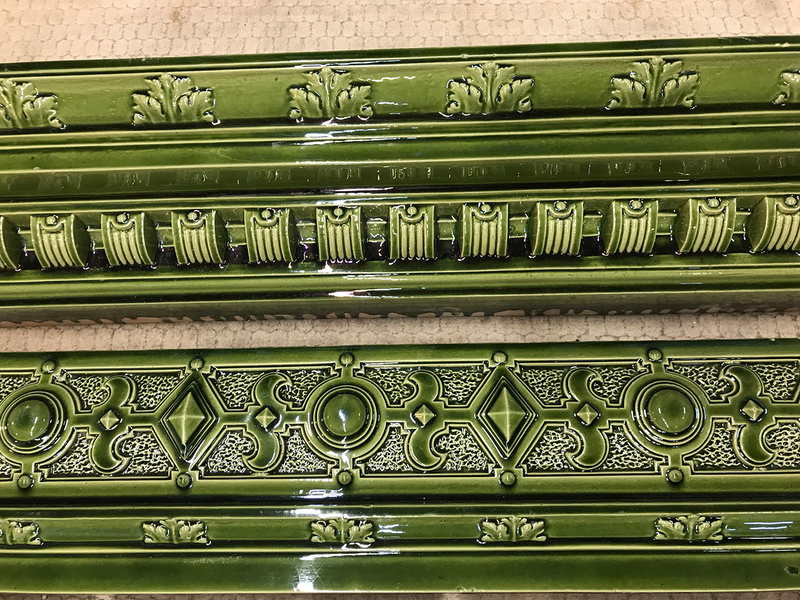 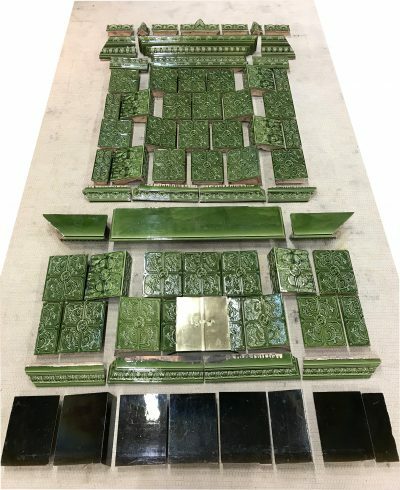 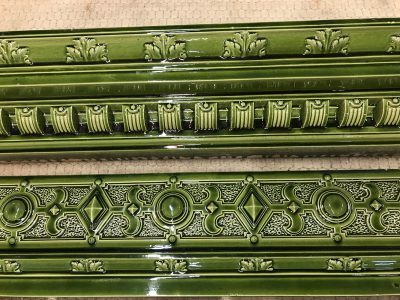 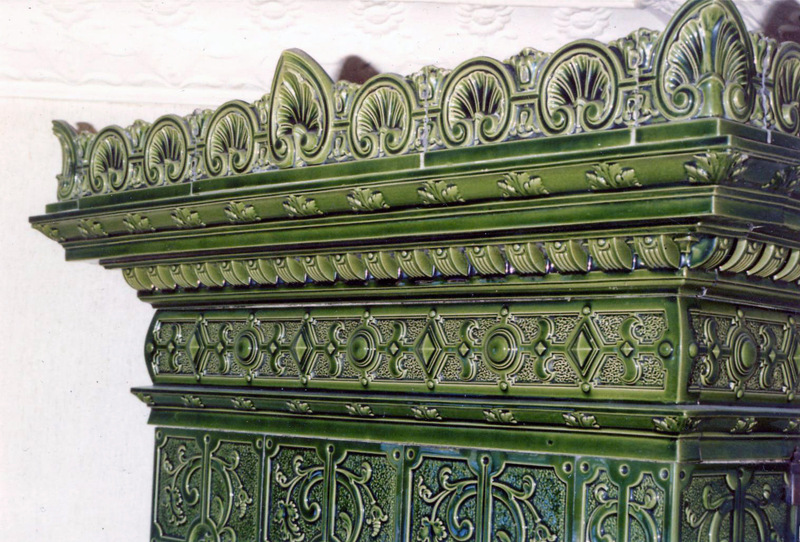 Bright green, ornamented tiled stove with a mantel and dark plinth. 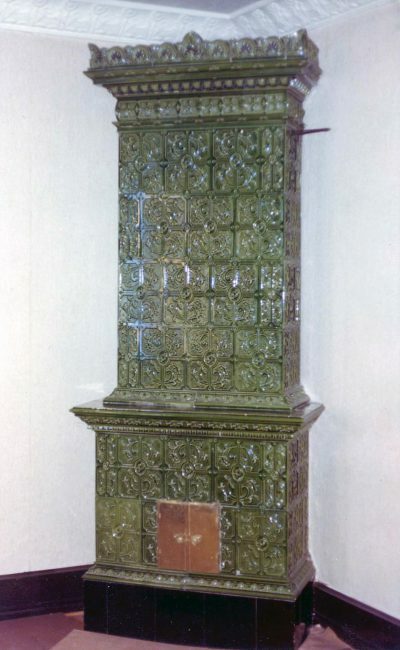 Karlskrona Kakelfabrik (tiled stove manufactory), ca 1895. Height 292 cm, plinth 48×106 cm.